Cádiz, FJ, D Esquerré, VH Cádiz & FM Martins. 2019. Phylogeography of Plectostylus Beck, 1837 (Gastropoda: Stylommatophora: Orthalicoidea): Origin and isolation of the Fray Jorge forest relicts in northern Chile. Journal of Zoological Systematics and Evolutionary Research 57: 57-66. Link. PDF. Troncoso-Palacios, J, D Esquerré, FA Urra, HA Díaz, C. Castro-Pastene & M. Soledad-Ruiz. 2018. The true identity of the New World iguanid lizard Liolaemus chillanensis Müller and Hellmich 1932 (Iguania: Liolaemidae) and the description of a new species of the Liolaemus elongatus Group. Zoological Studies 57: 22 (19 pp.). Link. PDF. Esquerré, D, E Sherratt & JS Keogh. 2017. Evolution of extreme ontogenetic allometric diversity and heterochrony in pythons, a clade of giant and dwarf snakes. Evolution 71(12): 2829-2844. Link. PDF. Supplementary Material. Esquerré, D. 2018. Lagartija de Gravenhorst (Liolaemus gravenhorstii), Gruñidor de Alvaro (Pristidactylus alvaroi) and Gruñidor de Valeria (Pristidactylus valeriae). 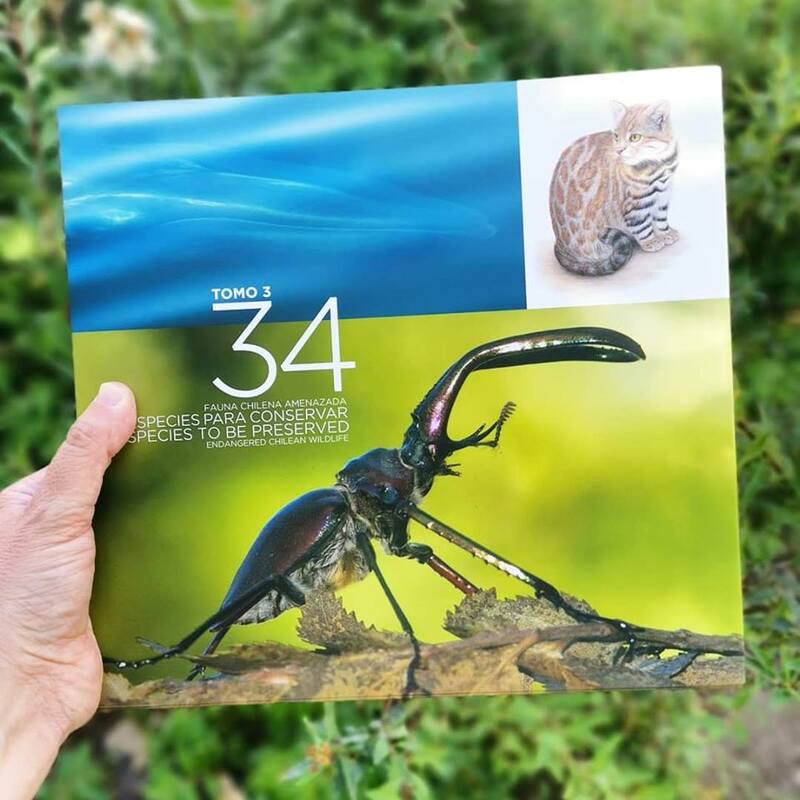 In: Fauna Chilena Amenazada: 34 especies para conservar, Tomo III. 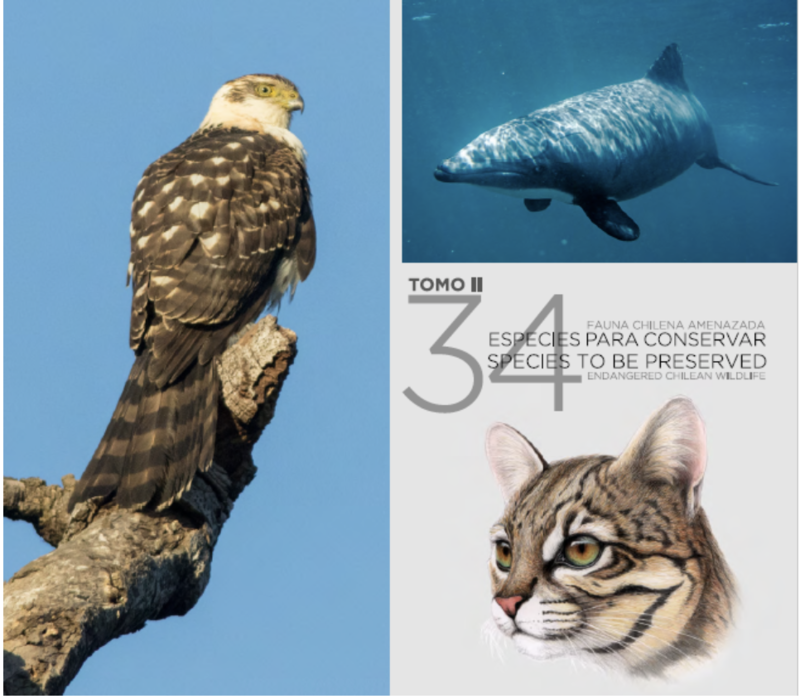 / Endangered Chilean Wildlife: 34 species to preserve, Tome III. Photosintesis, Santiago, Chile. Buy. Esquerré, D, H Núñez. 2017. 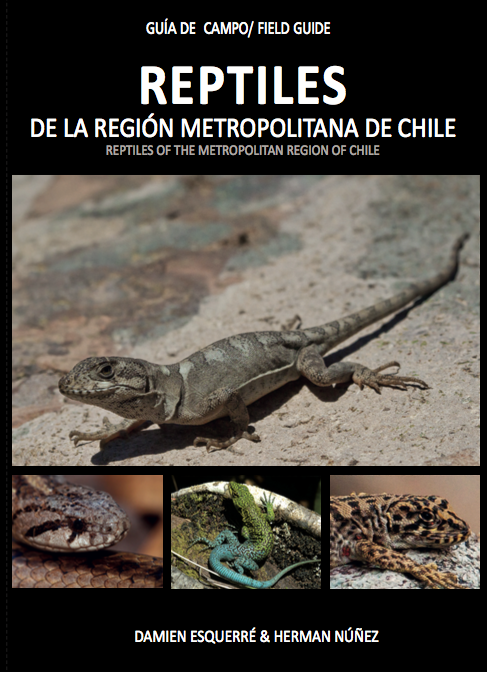 Reptiles de la Región Metropolitana de Chile: una guía de campo / Reptiles of the Metropolitan Region of Chile: a field guide. CEA Ediciones, Valdivia, Chile. Buy. Esquerré, D. 2017. Matuasto del Maule (Phymaturus maulense) and Dragon de Manuel (Liolaemus manueli). In: Fauna Chilena Amenazada: 34 especies para conservar, Tomo II. 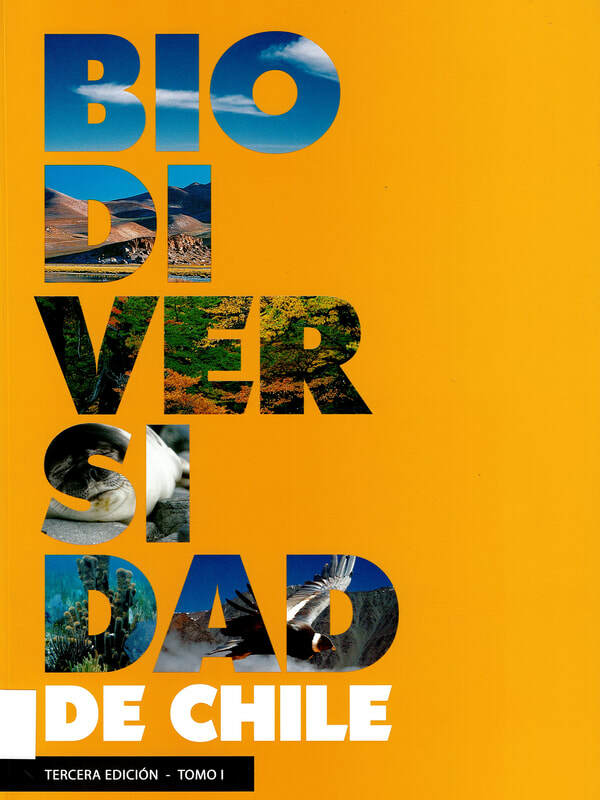 / Endangered Chilean Wildlife: 34 species to preserve, Tome II. Photosintesis, Santiago, Chile. Buy. 2018.Combined Meeting of the Australian Society of Herpetologists and the Society for Research on Amphibians and Reptiles in New Zealand, Kindilan, Queensland, 2018. Evolution of pythons: understanding the remarkable morphological diversity behind the world’s largest snakes. Oral presentation and winner of Peter Rawlinson Prize for Best Spoken Presentation by a PhD Student. 2018. II Joint Congress on Evolutionary Biology – Montpellier 2018. Evolution of pythons: understanding the remarkable morphological diversity behind the world’s largest snakes. Oral presentation as a finalist for the Hamilton Award. 2017. Integrating Systematics for Conservation and Ecology: A joint meeting of the Society of Australian Systematic Biologists, the Australasian Systematic Botany Society. The University of Adelaide, Adelaide, Australia. Phylogenomics and biogeography of the pythons—a Trans-Wallacean clade of giant snakes. Oral presentation. 2017. ANU Research School of Biology Student Conference, Canberra, Australia. A lizard explosion in the Andes: the story of the liolaemid lizards. Oral presentation. ​2017. Evolution of extreme ontogenetic allometric diversity and heterochrony in pythons, a clade of giant and dwarf snakes. Evolution Meeting, Portland, Oregon, USA. Oral presentation. 2017. ANU Research School of Biology Student Conference, Canberra, Australia. Evolution in the Andes…as told by a peculiar group of lizards. Oral presentation. 2017. Meeting of the ACT Herpetological Association, Belconnen Soccer Club, Canberra, Australia. Herping in Indonesia. One hour presentation. 2017. Reconstricting the coils of the evolution of pythons: the world’s largest snakes. Oral presentation to a general audience for Darwin Day in Questacon Science Museum, Canberra, Australia. 2016. The 8th World Congress of Herpetology, Hangzhou, China. Adaptive and allometric effects on the evolution of python phenotypes. Oral presentation. 2016. The 8th World Congress of Herpetology, Hangzhou, China. The evolution of allometric diversity in pythons. Poster Presentation. 2016. Guest lecture for third year course “Australian Vertebrates” (BIOL2111) at the ANU. 45 minute lecture. 2016. EMBO Course on Computational Molecular Evolution, Heraklion, Crete, Greece. The evolution of allometric diversity in pythons. Poster Presentation. 2016. Annual Meeting of The Australian Society of Herpetologists, Launceston, Tasmania, Australia. The evolution of allometric diversity in pythons. Oral presentation. 2015. ANU Research School of Biology Student Conference, Canberra, Australia. From dwarfs to giants: the evolution of allometry in pythons. Oral presentation. 2015. Guest lecture for third year course “Australian Vertebrates” (BIOL2111) at the ANU. 45 minute lecture. 2015. ANU Masters Exit Seminar, Canberra, Australia. Parallel selective pressures drive convergent phenotypic diversification in pythons and boas. Oral 30-minute presentation. 2015. Annual Meeting of The Australian Society of Herpetologists, Eildon, Victoria, Australia. Convergent evolution of head shape driven by parallel adaptation to similar life-styles in pythons and boas. Oral presentation. 2014. ANU Research School of Biology Student Conference, Canberra, Australia. Pythons and boas: two stories that rhyme. Oral presentation. Winner of best talk. 2014. Meeting of the ACT Herpetological Association, Belconnen Soccer Club, Canberra, Australia. The evolution and convergence of ecomorphology in pythons, boas and their relatives. One hour presentation. 2014. 50th Anniversary Meeting of The Australian Society of Herpetologists, Greenhills Conference Centre Canberra, Australia. The evolution of head shape in Australo-Papuan pythons with evidence of convergence with boas. Oral presentation. 2013. ANU Research School of Biology Student Conference, Canberra, Australia. Reconstricting the evolution of Australo-Papuan pythons. Oral presentation. 2012. III Coloquio de Anfibios y Reptiles, Lican Ray, Chile. Filogenia molecular del complejo elongatus-kriegi del género Liolaemus (Iguania: Liolaemidae). Oral presentation. 2012. I Reunión Conjunta de Botánica, Ecología y Evolución. Concepción, Chile. Relaciones filogenéticas entre especies de Liolaemus del complejo elongatus-kriegi. (Iguania: Liolaemidae). Poster. 2011. LIV Reunión Anual de la Sociedad de Biología de Chile, Puerto Varas, Chile. Dos nuevas especies de lagartos Liolaemus pertenecientes al complejo elongatus-kriegi. Poster.